Our window cleaning fits right in with our other services by providing our customers with a whole house cleaning form the roof to your curbs and everything in between. We believe you will benefit from only having to hire 1 contractor instead of many to do each service. This allows us to give our customers package pricing that is affordable and convenient. 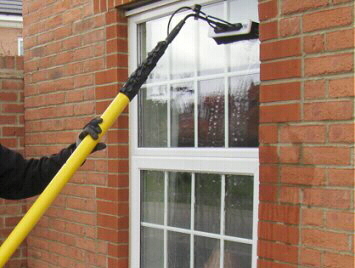 Diamond Roof Cleaning is now offering Window Cleaning to our services. Our pure water window cleaning equipment allows us to safely work on the ground while still being able to reach up to 3 stories. 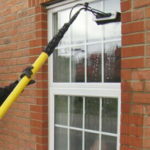 Our process will remove soap scum, window film and other containments that maybe making your windows dirty. Your windows will shine like never before. Along with our window cleaning we also provide Power Washing, Soft Washing, Safe Roof Cleaning, Deck Cleaning, Paver Cleaning and Sealing. This is what allows us to be the best company in New Jersey.